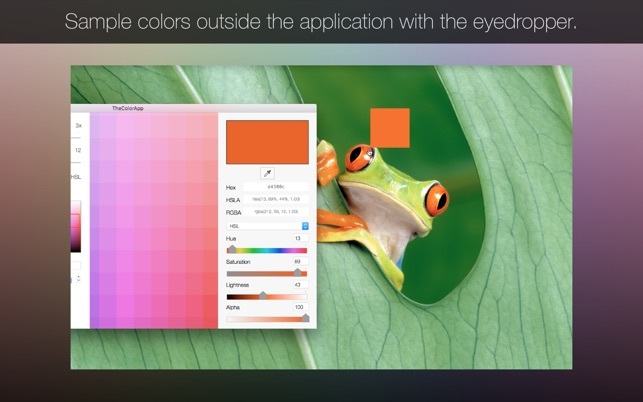 The Color App makes finding colors much easier. Instead of a tiny circle with all colors running together, The Color App creates some separation between colors, making it easier to select the perfect color. 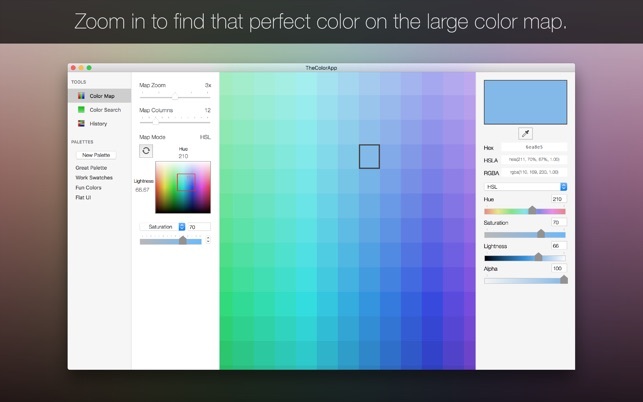 And The Color App provides a large grid of colors so you can utilize your full screen! Other cool features are that it enables you to sample colors and find out the RGB, Hex and HSLA values. 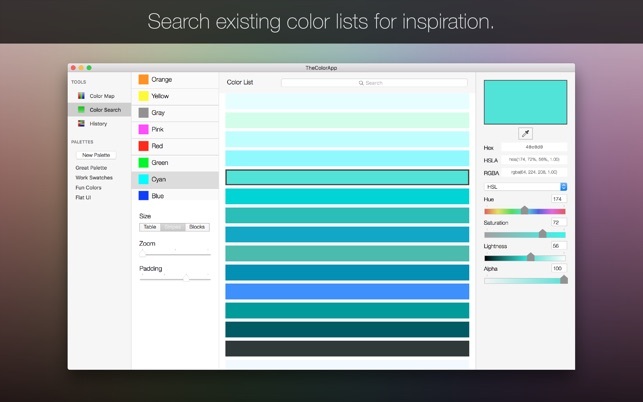 There is a nice list of searchable colors. 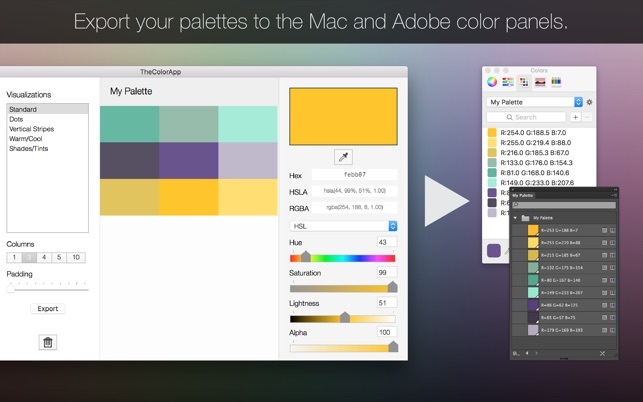 Also, you can create palettes of colors and see how the colors work together. 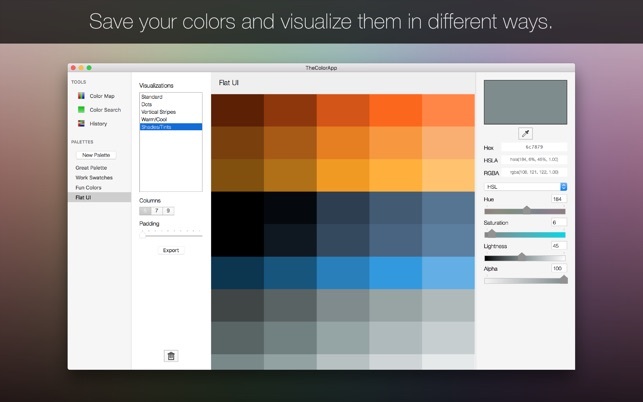 For designers, web developers, or more, this app will be a handy companion for picking colors. 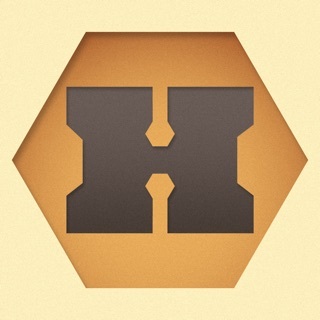 Ability to enter a Hex value into the Hex field!